The Conference is organized by the Facuty of Law and the Osservatorio Permanente sull'Applicazione delle Regole di Concorrenza (Antitrust Observatory) founded and directed by Michele Carpagnano and Gian Antonio Benacchio. The event is supported by the Italian Autorità Garante della Concorrenza e del Mercato, the French Autoritè de la Concurrence, the Spanish Comisión Nacional de los Mercados y la Competencia and the Luxembourg Conseil de la Concurrence. The conference is addressed to National Judges, Academics, In-house Legal Counsels, Attorneys, Economists, students and to everyone is interested in EU Competition Law and its enforcement. On Saturday, April 13, it will take place the workshop of the Antitrust Observatory’s team. The event is also open to non-members who are interested in finding out more about the Observatory’s actual and future activities. Working languages: the Conference will be held in Italian and English. A simultaneous translation service will be available. The conference is open to anyone interested in the Antitrust Observatory activities. The registration online is mandatory through an APPLICATION FORM. Deadline for registration: Sunday 7 April 2019. * The participation to the dinner is optional and subject to an additional fee of € 50. Prize-giving ceremony: students will be awarded with the scholarships issued by the Italian Competition Authority and by the bank Intesa Sanpaolo. h. 19:30 Aperitivo and dinner** The participation to the dinner is optional and subject to an additional fee of € 50. The fees must be paid by following the instructions in the application online. Free admission to the congress for the full academic programme only is granted to: students, university professors, researchers, Ph.D. students, magistrates, public administration officials and Antitrust Observatory staff. Registration is required also in case of free admission. 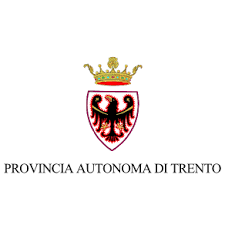 The Bar Association of Trento is establishing that the congress corresponds 12 ECTS credits. The Organizational Secretariat will issue a certificate of participation.